After seeing FELA! on Browdway a few months ago, I became obsessed. 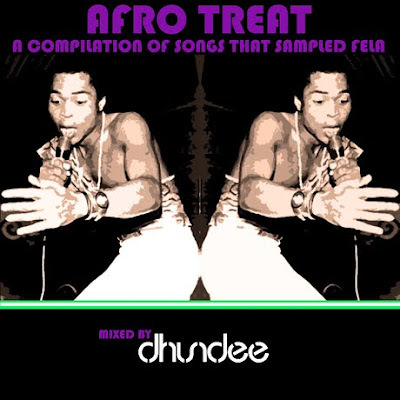 I found Afro Treats by Dj Dhundee where he compiled songs that sampled Fela's music from artists like Mos Def, Jay Z, Missy Elliott and The Roots. oooooooooooh, i'm gonna need to listen to this. looks interesting.